While Life isn’t quite Interstellar, it’s also no Fantastic Four, falling somewhere in the middle as far as overall ranking and even genre. It’s not as cerebral as a sci-fi thinker, it’s not as action-packed as a comic book thriller, but it has elements of both that it uses as it sees fit. Ultimately, Life will be compared to Alien, a creature feature set in outer space, and although it won’t quite live up to those standards, it also won’t do them an injustice. 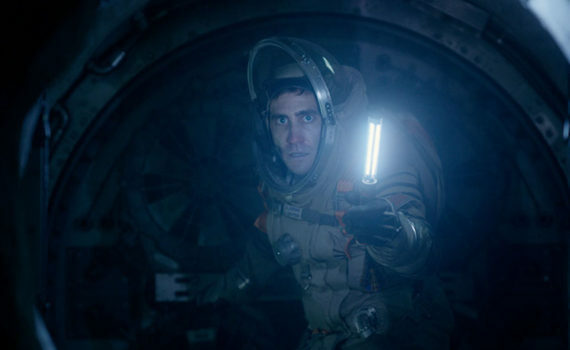 Where you end up sliding this film into your personal ratings system will depend on how much you love this type of claustrophobic space horror, how many you’ve watched over the years, and how appreciative you can be for a genre flick that tries to nod while keeping its eye on the horizon. A team of scientists aboard the International Space Station await a sample collected from Mars on its return journey to Earth. This sample may contain the very first proof of life on another planet, and so the whole world hold its breath, while the astronauts prepare multiple firewalls around the project to insure its scientific safety. The sample does indeed contain a living creature, a single cell that seems to be dormant. Stimulation awakens the creature and it begins to grow, delighting the team and awakening the world’s curiosity in the unknown. But things quickly get out of hand when the Martian’s growth becomes exponential, when it exhibits aggression, and when the fail-safe containment fails. Now the team must solve the problem of an unknown species on board their station, a species that doesn’t appear to be friendly. Just so you know up front, I love this genre. Sci-fi in general, sure, but space travel, space aliens, space drama, space anything. I’m willing to call a spade a spade if the film is an absolute terror, but I’m also willing to give a bit of leeway to a movie that reaches far into the style and tries to bring something special to light. Perhaps that’s why I loved Interstellar so much despite its flaws; it took a genre that I enjoy, combined it with great acting, and tried to craft a powerful story. Life does the same, and although it won’t go down as one of the year’s best, I think it’s strong enough to watch and appreciate. It takes the standard Alien recipe and breathes new energy into it; the inhuman animal, the danger to the ship, the potential harm to mankind were it to ever reach Earth. But this well-trodden path is respected in a way that I appreciated, the film taking the time to let us enjoy the sights along the way, and ultimately giving us a plot we can respect. It’s the acting that keeps the film’s head above water when less skill would have floundered it, would have left audiences with the simple feeling that we has seen this all before. The actors kept the story fresh despite its classic roots, and give them credit for refusing to phone in performances that would have been all too easy to fake. Gyllenhaal and Ferguson are the leads, have the slightest hint of underlying chemistry, make the action believable in every scene. Ryan Reynolds in solid, so is Ariyon Bakare, and the small cast holds together a tight plot with skilled hands. The space station looks awesome, the creature is acceptably frightening, and the film moves quickly from start to finish without any down time to get bored. Aficionados of the genre should enjoy what they see since obvious attention was paid to recreating a standard, although I doubt this film has the power to reach across the aisles and grow an impressive fan base. Watch for enjoyment rather than for stimulation, try to notice the acting, and probably don’t ever go into outer space.